The metal door-closing unit to a Wells Fargo office entranceway gave way and struck a customer in the head as she entered the building. Even though the business offered to settle the personal injury case for $125,000, she opted to proceed to trial, and received a $4.5 million judgement. In this issue, we’ll talk more about this particular case, and talk about why it makes sense to leverage the skills and expertise of an Alaska personal injury lawyer if you’re injured because of someone else’s negligence. As the victim, 42, entered the building, the metal door-closer unit detached from the door and struck her in the head, causing her to fall to her knees. Her injuries included aggravation of pre-existing spondylosis (degenerative conditions of the spine); cervical fusions in her neck; and the insertion of a pain pump into her spinal cord. Already diagnosed with multiple sclerosis, the woman also suffered from a degenerative disease in her neck. Just before the trial began, Wells Fargo offered $125,000 to settle the case. The victim wisely declined, and the personal injury case proceeded to court. Even though the entranceway was the only one available for customers, it had been years since its last inspection. 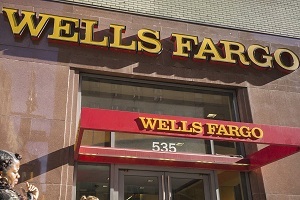 The jury needed merely two hours to reach their verdict, holding Wells Fargo responsible for 80% of the negligence, and the owner of the property itself to be 20% at fault. The verdict consisted of $1.25 million for the victim’s disability; $1.25 million for pain and suffering; $1 million for emotional distress; and just over half-a-million for medical bills. If you experience injuries because of someone else’s negligence, call the Alaska personal injury lawyers at Barber & Associates. The victim in the case above deserves fair compensation for her injuries, and she made the right decision by trusting her personal injury lawyer.